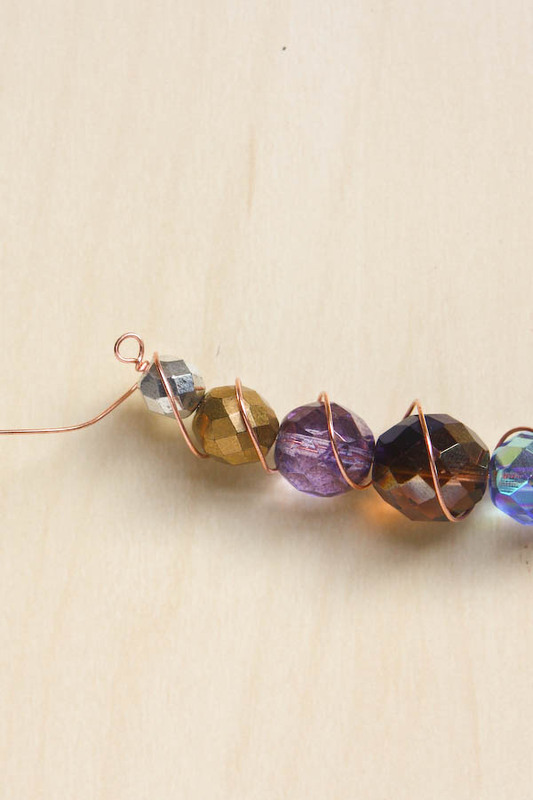 This spiral wire and bead necklace, uses only a few beads, a short length of wire and is a great beginner project! 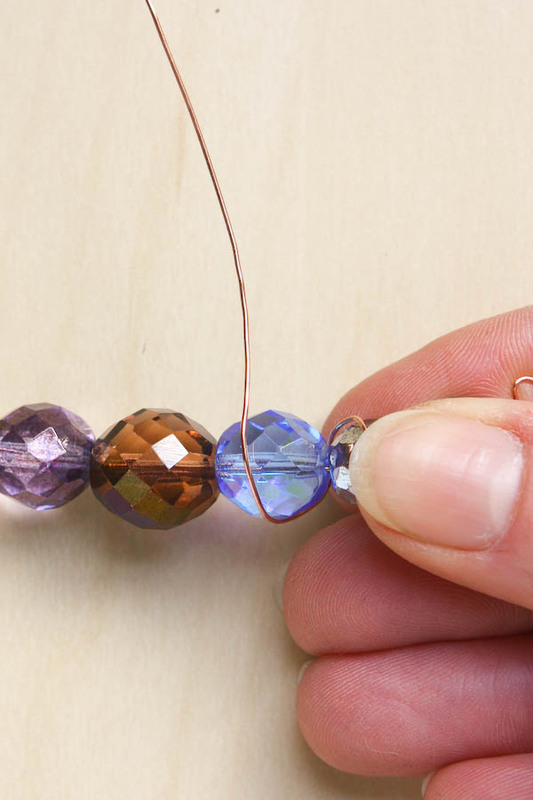 This DIY is perfect if you struggle with choosing what beads to use in projects. 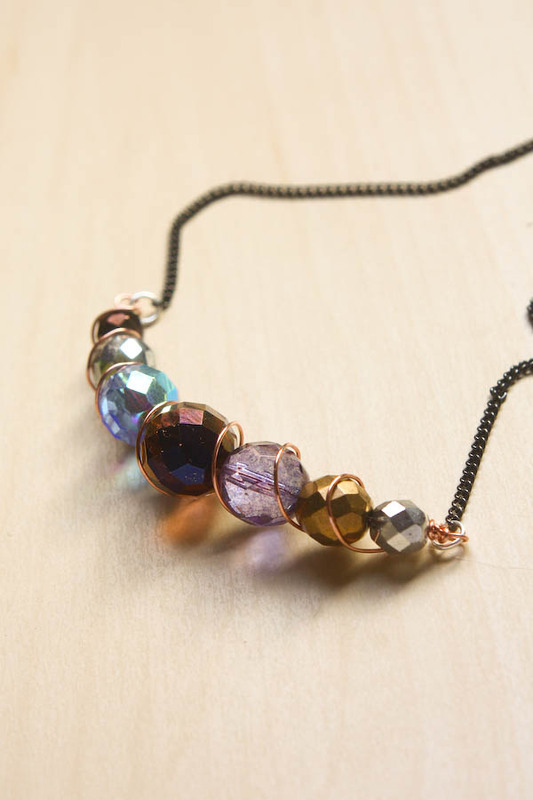 I’m using Czech glass fire-polished beads from a mix – mixes are brilliant if you find it tricky putting colours and shapes of beads together, as they give you a variety of beads that all go together. 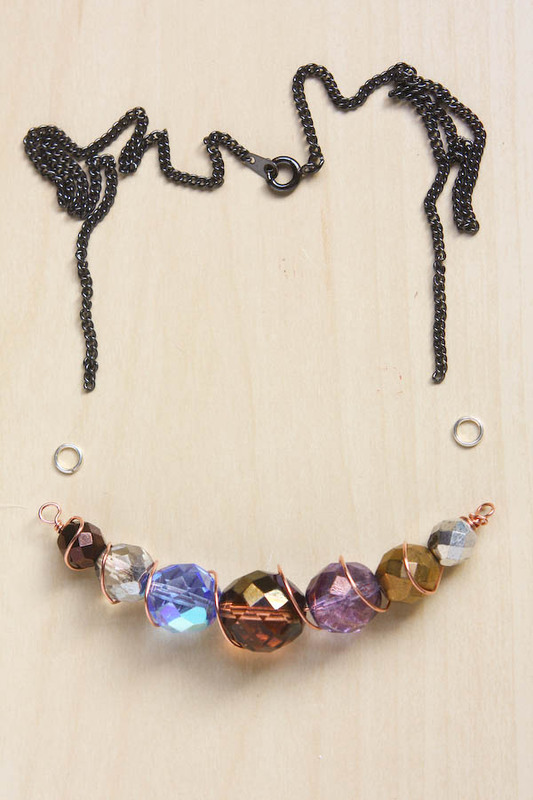 The beads I used came from a Czech glass mix called ‘bohemian’ and are all faceted rounds with a metallic coating. 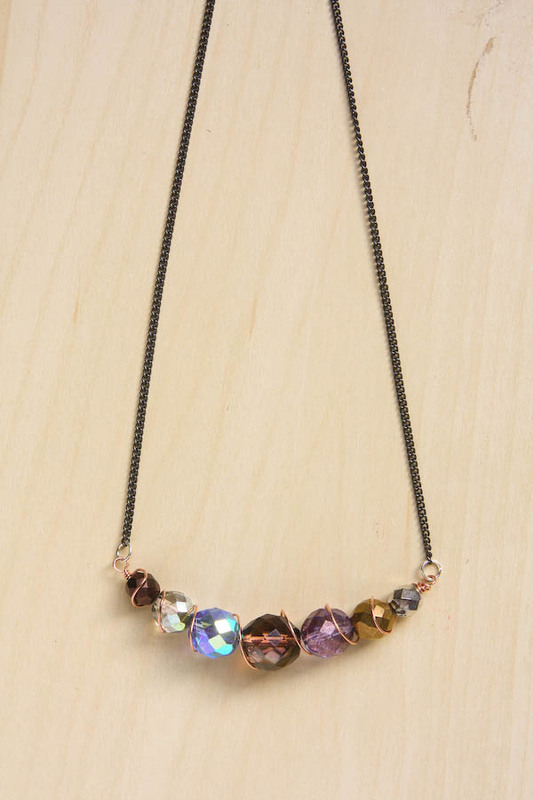 This variation on a theme, makes jewellery look more considered and creative, without you really having to try! All I had to do was make sure the beads graduated in size and no beads of the same colour were next to each other. 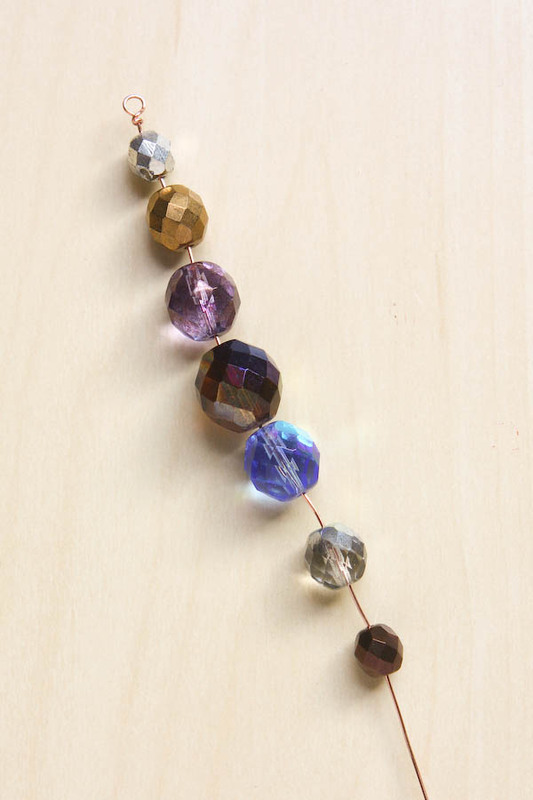 Odd numbers of beads also look best, so 3, 5, 7 and 9 are good! -chain nose and round nose pliers, wire cutters. This project use wrapped loops, if you aren’t sure how to make a wrapped loop, or just need a refresher, pop over to this tutorial first! 1.Cut a length of your wire, I used a 50cm length for my beads, and make a loop with a single wrap at one end. Because we are going to come back over the beads with our spiral, we need to leave room to finish the wire off, hence only doing the one wrap at this stage. 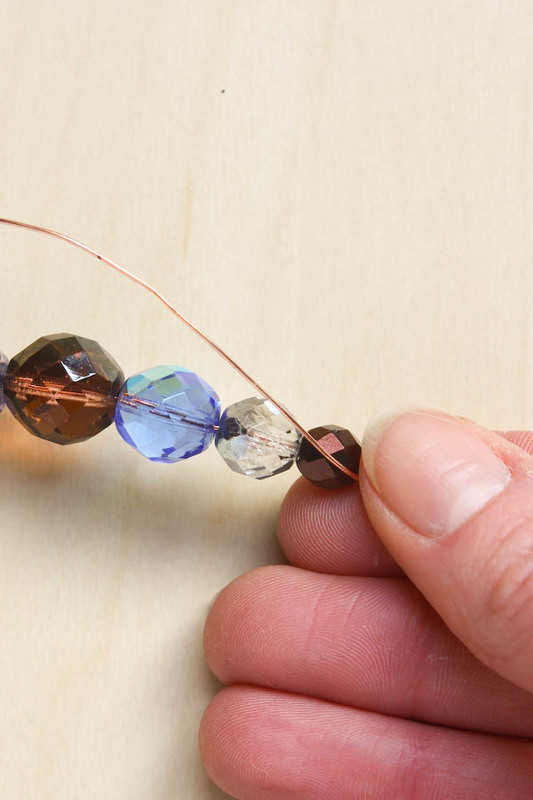 3.With your hands, pull the wire into a gentle curse, then make a loop followed by three wraps after your beads, leaving the long tail of wire. 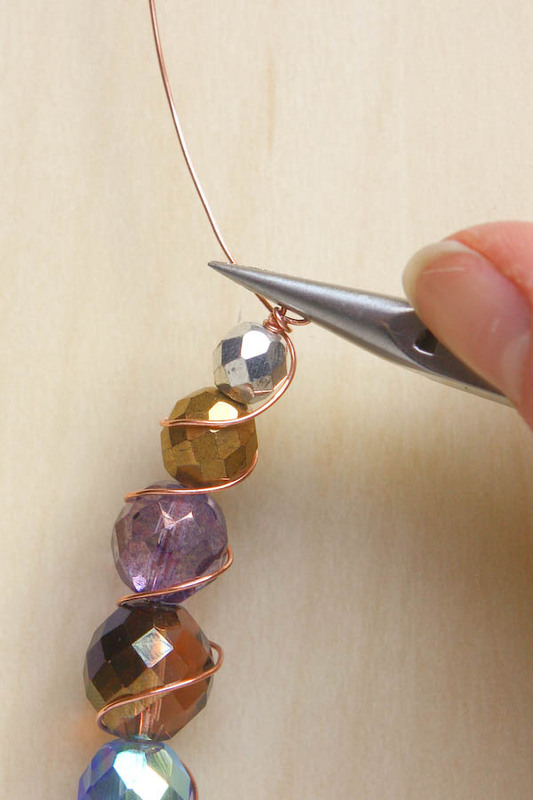 7.To finish, wrap the wire twice around up to single wrap you did at the beginning and trim off any excess. The two ends should now match! 8.Now to add the chain. 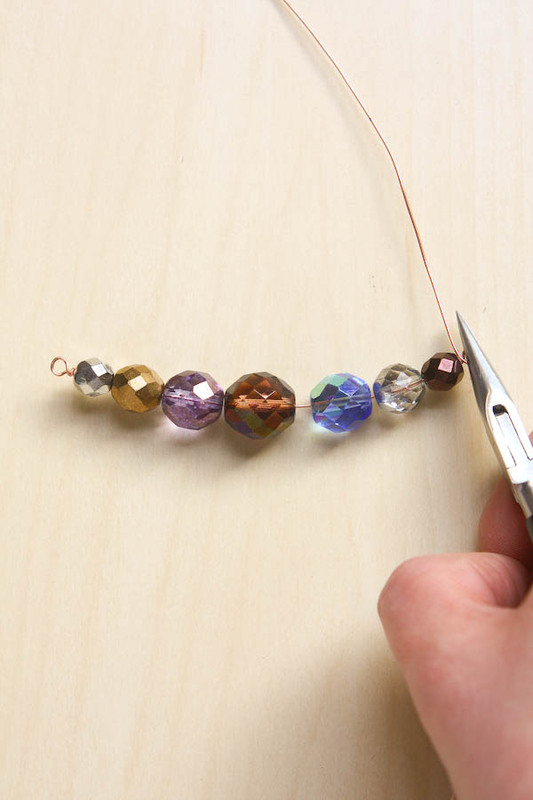 You can use loose chain and add your own clasp, but taking a ready made neklace and cutting out a section in the middle to make room for our wire and beads is a really easy way to go. You just need a couple of jump rings to attach the chain ends to our wire loops. If you have a go at make your own spiral wire and bead necklace, let me know by commenting below, or message me on on Twitter, Instagram or Facebook! I love to see what you create. Happy Making!